While there was no winner of last night’s record equalling €190 million EuroMillions jackpot, the residents of the small rural village of Kilmaine are celebrating this morning after it emerged that a local shop sold a €500,000 EuroMillions Plus ticket. With a population of only 200 people, the residents of Kilmaine are flocking to Eugene Walsh’s Centra Store to check their tickets. The lucky quick pick selection ticket was sold at the winning store on Tuesday. 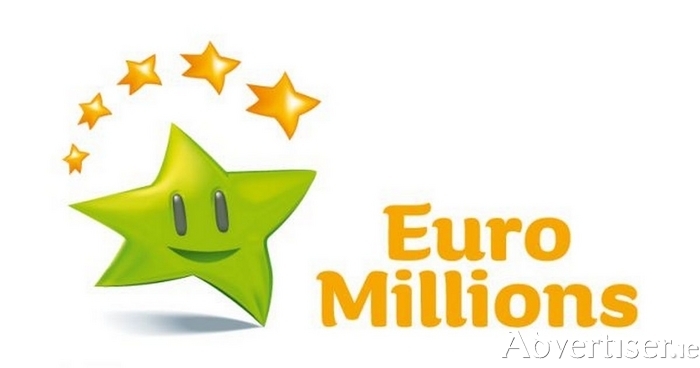 EuroMillions Plus continues to be an extremely lucky game for Irish players. Incredibly, this is 24th win in Ireland in 2017. At a cost of just €1 extra per line, the EuroMillions Plus draw gives players an extra chance to win €500,000. Owner of the winning Centra Store, Eugene Walsh said,“We’re in a little bit of shock this morning but it is tremendous news for the area and we’re absolutely thrilled for the winner. We have been in business in Kilmaine Village since 1978 and this is our first big Lottery win. Good news certainly travels fast in the village - most of the locals have already been in the shop to check their tickets this morning but we’ve still not heard anything about the winner.”?? “If the jackpot is not won on a cap of €190m next Friday it can remain capped at that amount for a total of five successive draws with any excess jackpot value rolling down to the next prize tier with a winner. On the fifth draw at cap, if the €190 million jackpot is still not won, the full value of the jackpot can flow down to the next tier with a prize winner,” he said. ?